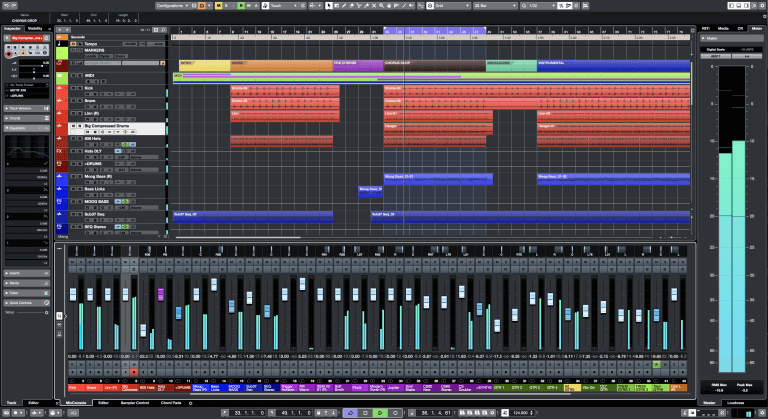 News: Steinberg Cubase 10 Digital Audio Workstation Released! HomeNewsSoftwareDAWSteinberg Introduced Cubase 10 With VariAudio 3 Pitch Correction Tool, Audio Alignment & More! Steinberg Cubase 10 features a brand-new VariAudio 3 pitch correction tool, audio alignment, Groove Agent 5 SE, Distroyer effect plugin & more! Like every year, November is the time when Steinberg updates its DAW Cubase. This year it’s time for a bigger update, a version 10. Cubase 10 is not a big update on the instrument side (no new synth…) but especially an update that brings further the audio processing power. The new version includes VariAudio 3, a brand new pitch correction tool, audio alignment features that allows to sync very quickly audio files and Distroyer, a new distortion effect plugin that warmth to your tracks. Not a surprise is also a new version of the Groove Agent 5 SE plugin that is simplified version of the latest introduced Groove Agent 5. Beside this, it comes with several other new features, improvements and sound content! 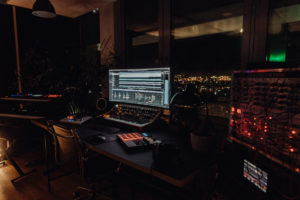 HAMBURG, Germany — Steinberg today officially unveiled the highly anticipated release of the latest version of its award-winning DAW: Cubase 10. Available to Cubase Pro 10, VariAudio 3 is the perfect and eminently powerful pitch correction tool, introducing many enhancements for editing micro pitch levels and adjusting formant shifts. Another novelty is MixConsole Snapshots for saving and recalling a current mix within the mixer, or for creating and comparing alternate mixes of a project. Cubase Pro 10 also introduces Audio Alignment, a great new feature that allows users to align stacked recordings extremely fast so that vocal and other tracks are in complete sync. REVerence, the convolution reverb in Cubase Pro, includes now 20 new impulse responses, covering a range of vintage reverbs. Smaller feature additions and enhancements include AAF import/export for exchanging data with different systems, improved editing to picture, and the Steinberg Virtual Reality production suite that offers tools for producing VR content. In all editions of version 10, the Channel Strip has undergone significant changes, featuring new metering elements in each module, providing immediate visual feedback and further facilitating the mixing process. Groove Agents SE 5, one of many impressive instruments within Cubase, boasts many enhancements to its user interface and comes with an abundance of new acoustic and electronic drum content. The audio engine has also been refined, now supporting 32-bit integer and 64-bit floating-point audio for recording, importing/exporting, and converting. Plug-ins have been redesigned and can now be dragged from the Media Rack and dropped directly into the project, creating an instrument track automatically, while the user interface supports HiDPI for high-resolution displays. 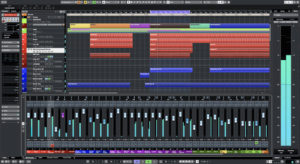 The additional content in Cubase 10 rounds out the extensive feature list: 5 GB of sounds and loops cover various genres, produced by renowned artists the likes of Florian Meindl, Rawtekk, Beat Butcha and many more. Quellmann continues: “The audio engine in Cubase delivers pristine, unprecedented, ‘unheard-of’ quality: you’ll never hear the DAW, you won’t perceive unexpected coloring to your recordings, you’ll forget it’s even there — the sound quality is literally unheard of. The editing and production tools are amazing, providing a smooth, firm foundation for your creative input. The new aesthetics of the user interface ensures focused and expedited usability, while the production-grade content included within Cubase is not only fun to use but offers a great starting point to creating any style of music. The Cubase 10 editions are available from resellers and through the Steinberg Online Shop. The suggested retail price for the boxed version of Cubase Pro 10 is 579 euros; download only is available for 559 euros. The suggested retail price the boxed version of Cubase Artist 10 is 329 euros; download only is available for 309 euros. The suggested retail price for the boxed and download versions of Cubase Elements 10 is 99.99 euros. Download orders are exclusive of USB-eLicensers. All prices include German VAT. Various downloadable updates and upgrades, crossgrades, and education versions are exclusively available through the Steinberg Online Shop and the Steinberg website. Customers who have activated Cubase 9.5 editions and earlier versions since October 15, 2018, are eligible for a free, downloadable Grace Period update to the latest respective version. 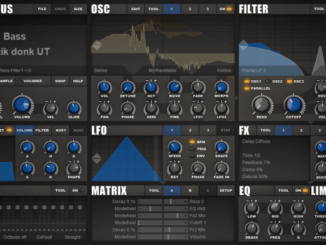 Save Up To 99% OFF – 9 SoundSpot Plugins For PC & Mac Each $1/1€! 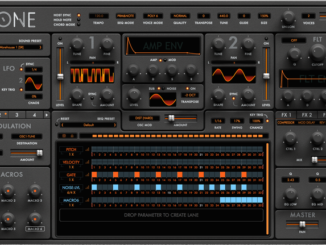 Native Instruments Announced 50% OFF Thanksgiving Sale! 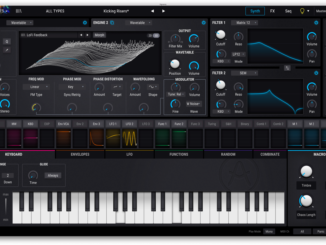 Audiaire Zone Is A New Powerful Parameter Sequencing Synthesizer Plugin!